Jessika's relationship with Dan is fake, says Jules. JESS and Dan's relationship is a sham, according to Married At First Sight contestant Jules. Jess and Dan came clean about their affair in Sunday night's explosive episode which left their original partners, Mick and Tamara, in tears. 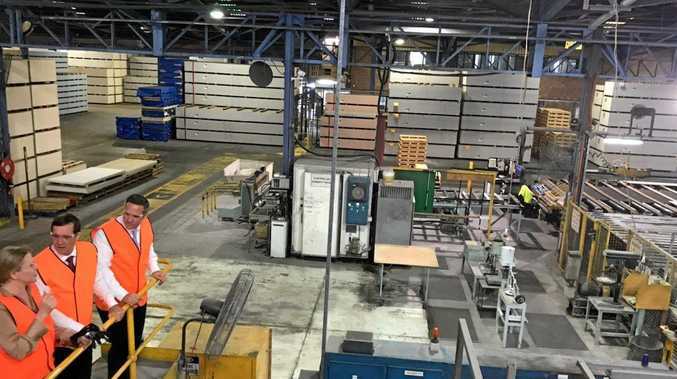 Viewers were outraged when the "experts" allowed Dan and Jess to remain in the experiment together, with more than 16,000 people signing a petition calling for the show to be pulled off air. Yesterday Jess and Dan did a series of radio and TV interviews in which they said they're still very much together. Jessika Power and Dan Webb out and about in Sydney yesterday. But Jules isn't buying it, accusing Jess of pursuing a relationship with Dan (after also hitting on Nic) purely so she could extend her 15 minutes of fame. "Some people would have done anything to stay to the end of that show. Anything," Jules told E! News. "I'm sorry Jess, but if it wasn't Nic it was going to be someone else. He denied you, so you moved on. That's the bottom line. "Maybe (Jess and Dan) do like each other, who are we to know? But with her past record, does anybody know what's real with Jess and what's not?" "One hundred per cent not. I don't think it's real at all," she told E! News. "Do I think it's going to last? No I don't. Are they together? I have no idea. I'm not friends with them." Jules and Cam appeared sympathetic to Dan and Jess in Sunday night's episode, but Jules made it clear in a lengthy Instagram post after the episode aired that they don't approve of the couple's behaviour. "For the record. Cam and I DONT CONDONE the cheating, the lies. The depth of deceit. We had no idea of everything that was going on," Jules wrote. "We can understand that the experiment is an experiment and some people aren't suited and didn't match. And may suit someone else. But the way you go about is being honest. Open. And not hurting and using people. And if your going to do it. You do it when it's 120%. "Who are we to know how some one feels. We just know how much it hurt everyone Involved. Tam. Mick. And the group. I feel words were put in our mouths. Like we were supporting it. This is not the case and our faces said it all. End of." 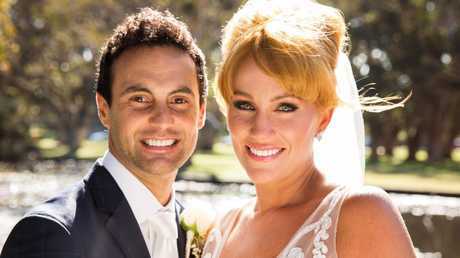 Cameron Merchant and Jules Robinson tied the knot on Married At First Sight.